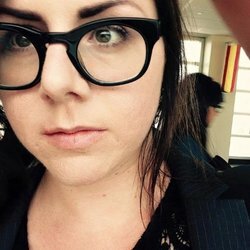 Sara Mumolo is the Associate Director for the MFA in Creative Writing program at Saint Mary’s College of CA. She curated the Studio One Reading Series from 2008-2012. Her first collection of poems, Mortar, was published by Omnidawn in fall 2013 and another book is forthcoming in 2019. Some poems are published in Lana Turner, Typo, 1913: a journal of forms, Volt, the Volta & The Offending Adam, among others.